Guildford couple Aaron Barnes and Amanda Tierney are pumped to be participating in the upcoming Shitbox Rally. All of us have owned a ‘shitbox’ at one stage of our lives and have probably been grateful if it simply got us from A to B. There is a brave band of adventurers, however, who like to push the limits of their ‘shitboxes’ in the bi-annual Shitbox Rally across the wide open expanses of our great land and raise important funds for the Cancer Council. Guildford couple Aaron Barnes and Amanda Tierney – or ‘The Welcome Strangers’ as they’ve coined their team – are among the participants eagerly anticipating the event, which begins May 8 and runs until May 17. 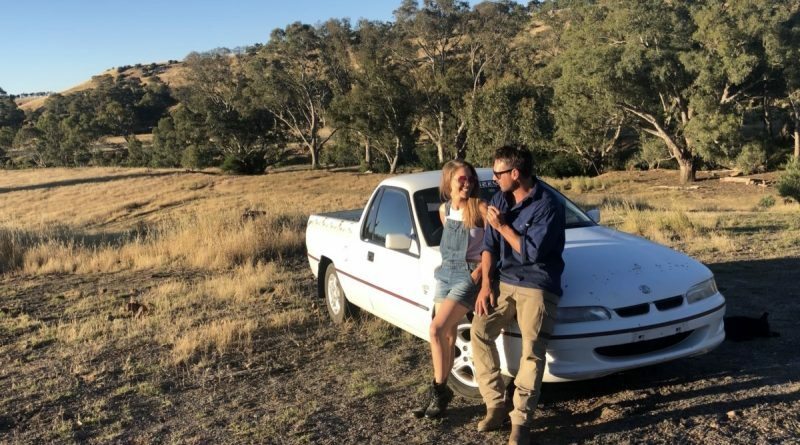 They will be driving their shitbox from Perth to Sydney via Uluru. That’s 5150 kilometres! Maddy told the Express the couple recently moved to Guildford and wanted their team name to represent the Goldfields region that they now call home. It will be their first time in the rally. “Aaron has applied three previous times and is thrilled to have made it in on the fourth time around. It’s very popular,” she said. The pair were motivated to participate in the Shitbox Rally as they both had family members touched by the insidious disease. Maddy is also a nurse who works with those affected by cancer and their loved ones on a daily basis. They have selected a white 1999 Holden VS Ute for the adventure. “It was decided we needed to have a ute as we need to carry everything for the trip – including swags, spare tyres, equipment, water and our personal belongings. Aaron also really wanted to have an Aussie car doing such an iconic rally through the outback to represent Australia as a whole,” Maddy said. The couple have been busy ‘pimping their ride’ with features to help it survive the tough terrain and some pretty eye-catching artwork featuring all their wonderful sponsors and the names of those lost to cancer. They will have an edge should they run into trouble of the road as Aaron is a self-taught mechanic and fabricator and over the last 12 months has been restoring a 1982 WB ute. “I joined the local Guildford Grumpies Car Club and I’ve had a great teacher to help troubleshoot issues that could arise throughout the rally!” Aaron said. The pair are looking forward to the opportunity to not only see amazing remote wilderness, but also be a part of a strong community spirit within the rally and also in the small towns along the way. “This rally is all about true Aussie battler determination, which I think has been lost in our big cities over the years since World War II, and it will be refreshing and uplifting to see it happening in all its glory,” Maddy said. The couple thank their sponsors, The Guildford Grumpies, Digital Funnel and Kyper, Rare Spares, and every individual who has donated to their team so far. 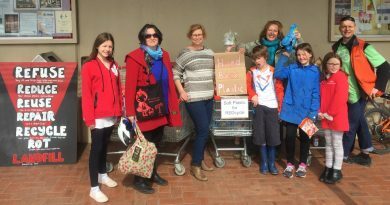 Woodend residents joined in a global day of action on Saturday by holding a plastic attack at their local Coles supermarket. 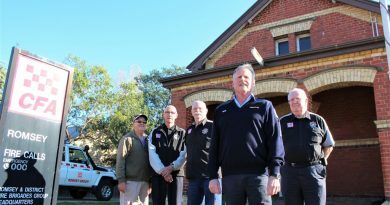 "Fighting tooth and nail" for Romsey and District Fire Brigade's Headquarters - (from left) Ron Cole, David Needham, Noel Smithwick, Ralph Hermann and Peter Brooks. 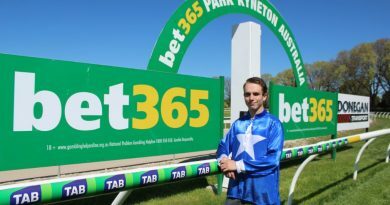 Nathan Elms ('Elmsy') will be walking onto the Kyneton Racecourse on Kyneton Cup Day for the last leg of his Caulfield to Kyneton Walk for Prostate Cancer.